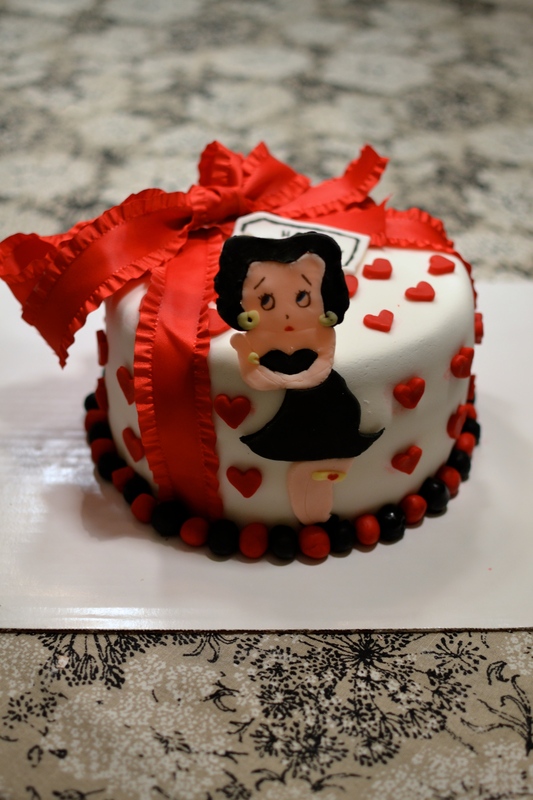 My friend Emma wanted me to make her Grandma a cake… Betty Boop themed! I thought that was hilarious because how awesome is that. So obviously I said YES! 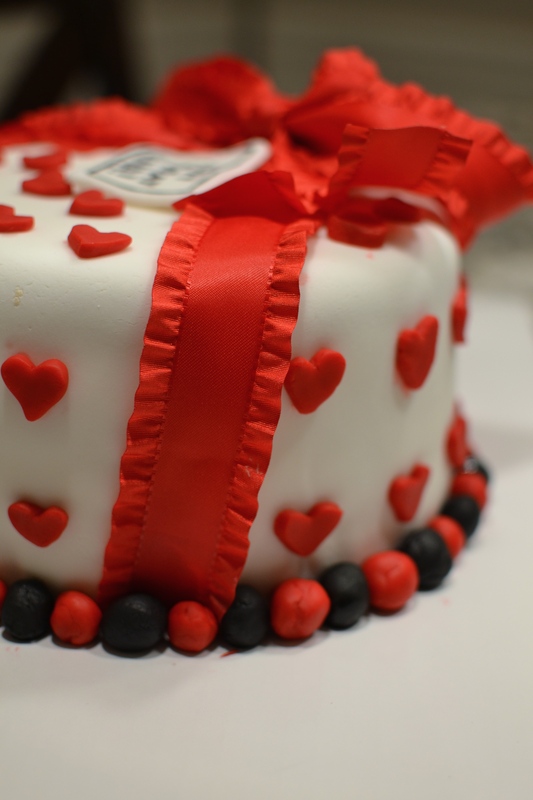 This cake is sort of resembling a present (with the bow and the gift tag) and I just stuck Betty right on the front! 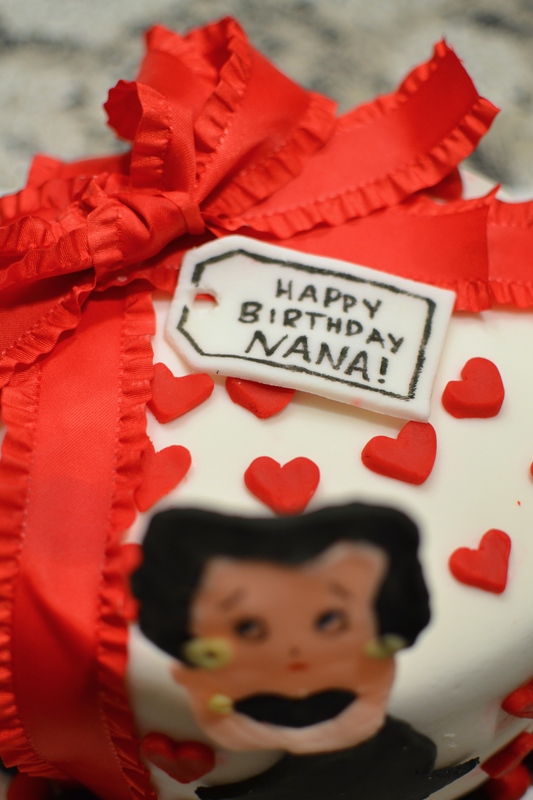 I kept it all black, red and white themed minus her yellow jewellery. 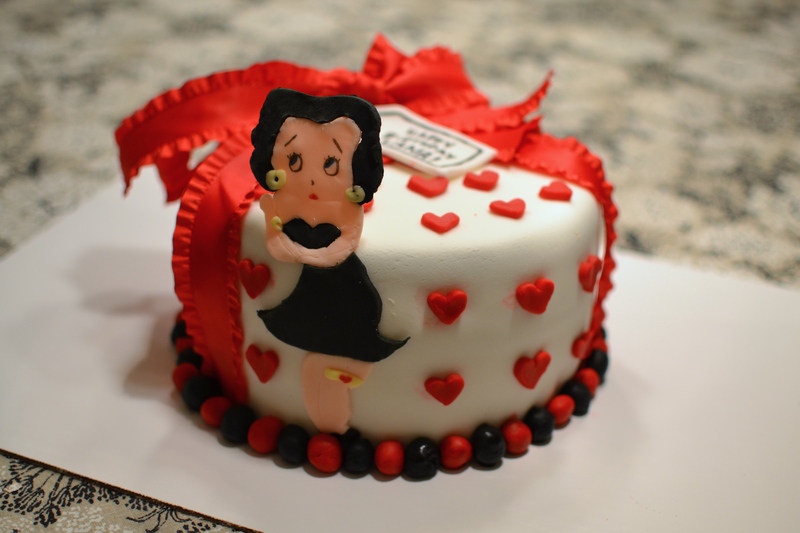 And of course I had to add the hearts – a classic Betty Boop symbol.